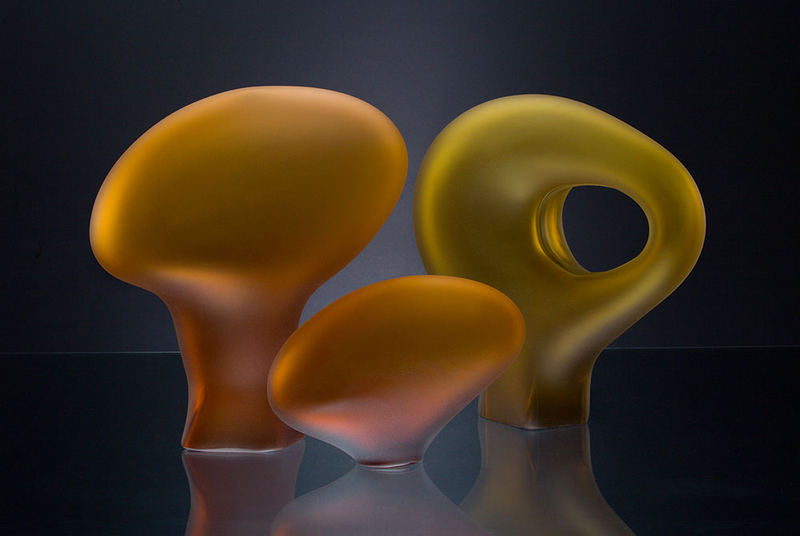 The Melange Series 1 glass sculpture trio of forms create an elegant communication within in this composition. Each hand blown glass form has been cold worked and sandblasted to create a translucent surface. This glass sculpture was included in a project for the Fountain Restaurant located in the Four Seasons Hotel Philadelphia.